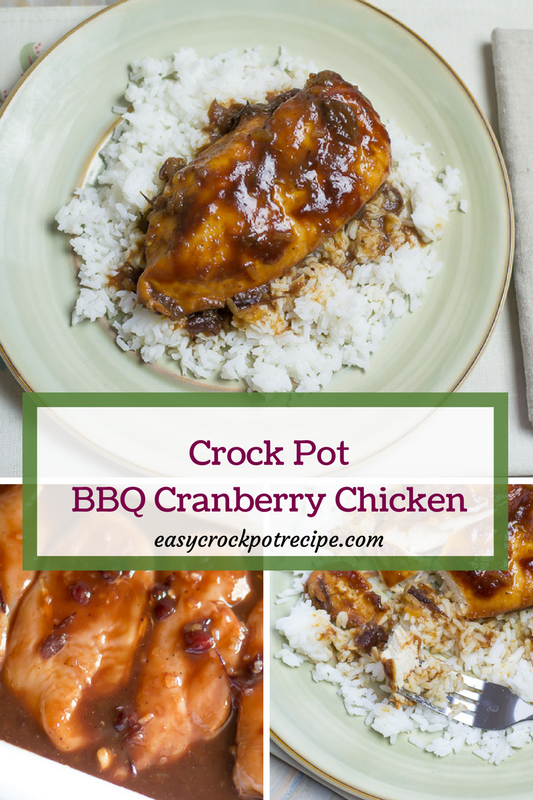 What’s not to love about this Crock Pot BBQ Cranberry Chicken recipe? 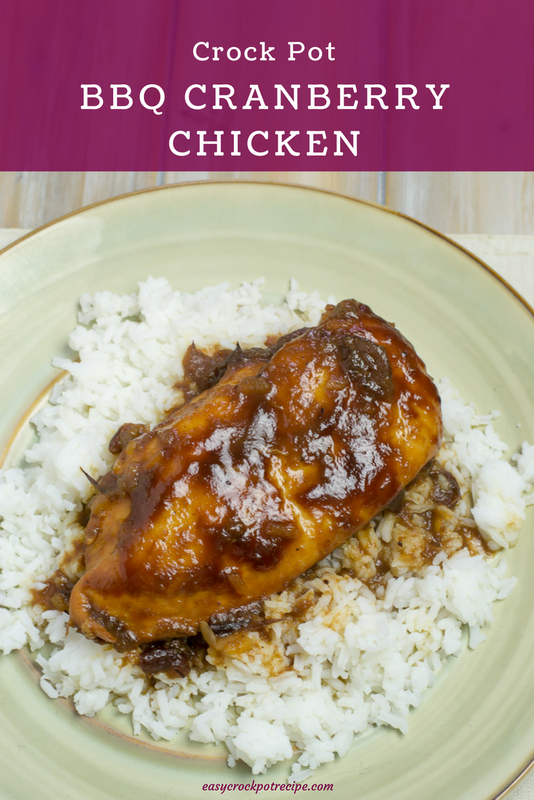 BBQ chicken is one of my favorite ways to enjoy chicken. Getting dinner on the table can be such a stress during the busy week. 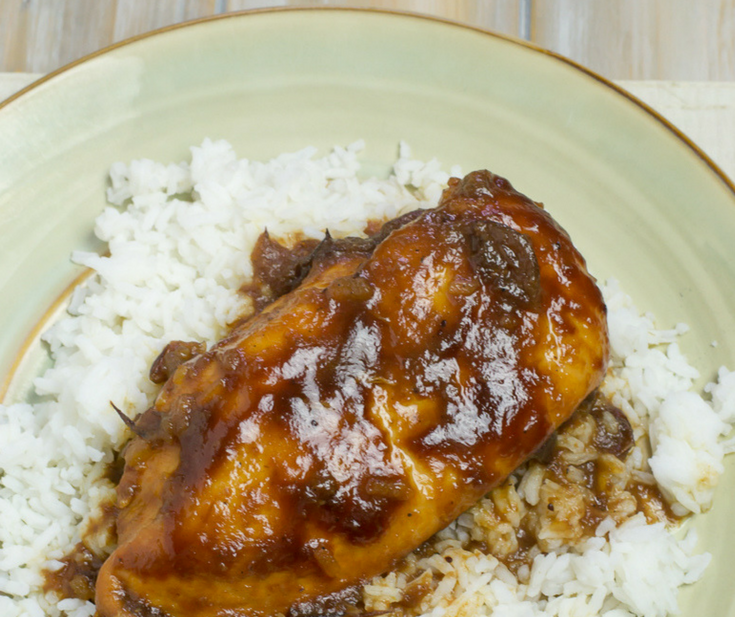 This BBQ Cranberry Chicken recipe is one of the easiest ways to cook chicken. 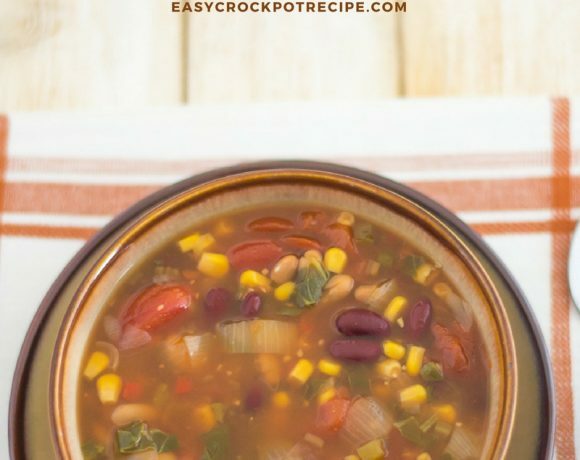 4 ingredient crock pot recipes can make figuring out what to feed the family simple. Who has time these days to slave in the kitchen. 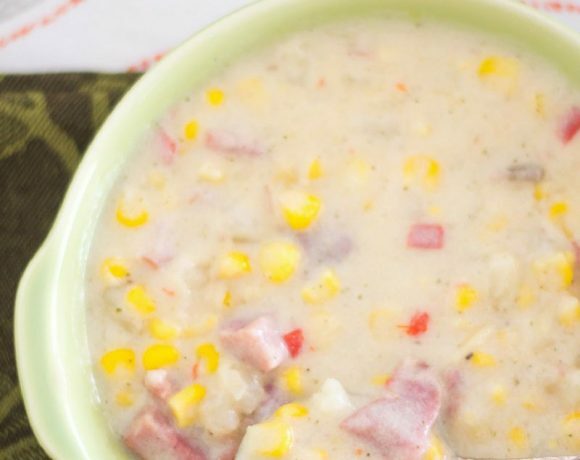 Crock Pot slow cooker recipes are a busy mom’s life saver. 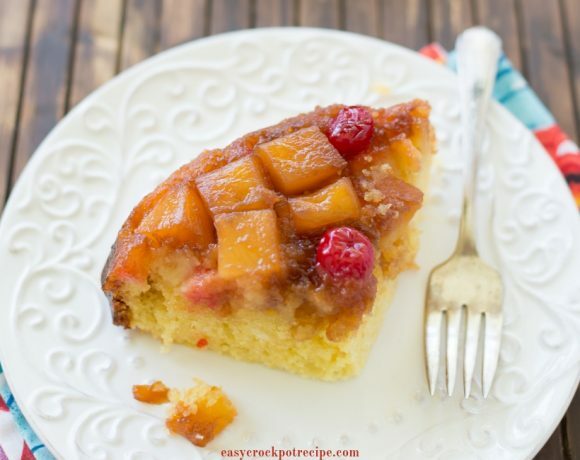 As long as you have a few basic ingredients like boneless chicken, bbq sauce and a can of cranberry sauce on hand you can throw together a tasty meal that everyone in the family will love. Cranberry sauce is the perfect complimentary flavor to add a little sweetness to boring boneless chicken. Trim the fat from the chicken breasts and place into the bottom of a 6 quart slow cooker or a casserole slow cooker. In a bowl mix the cranberry sauce, bbq sauce, dry onion flakes, salt and pepper. 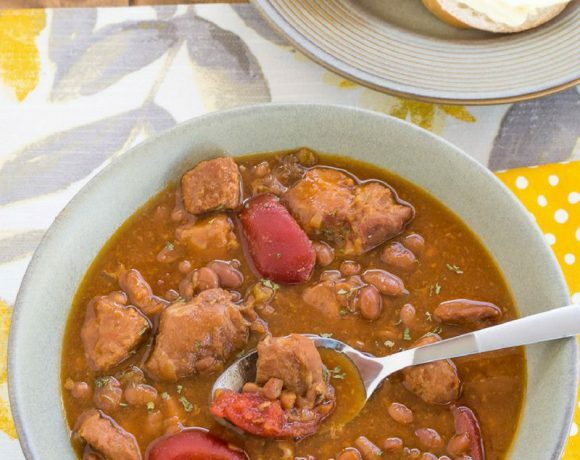 Mix well and pour over the chicken in the slow cooker. 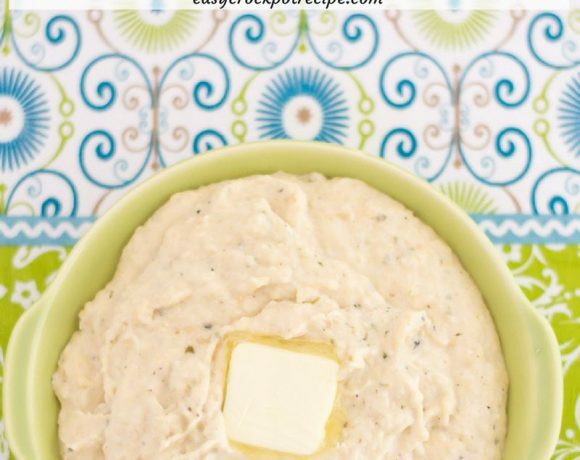 Toss the chicken to coat well. 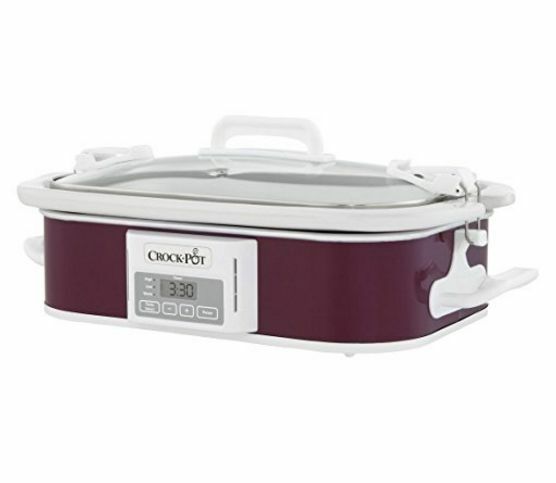 Place the lid on the slow cooker and cook for 3-4 hours on high or 5-7 hours on low. Occasionally check the chicken for doneness and hour before the cooking time is near. Cooking time will vary and change according to the size and thickness of the boneless chicken meat. 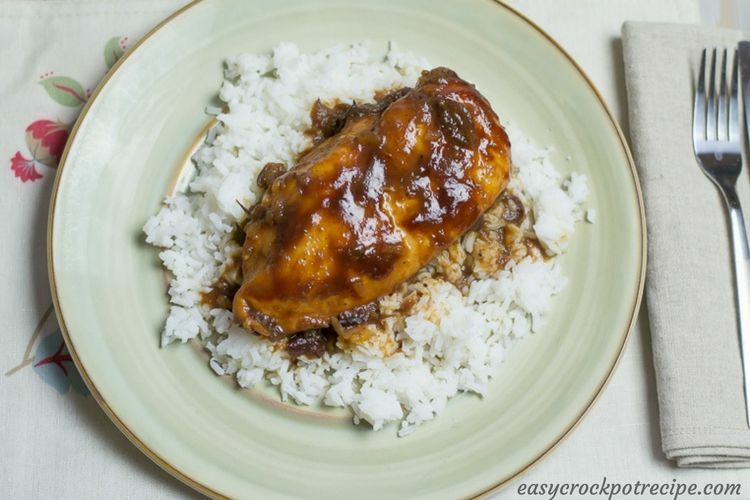 This Crock Pot BBQ Cranberry Chicken is one of the easiest ways to slow cook chicken. 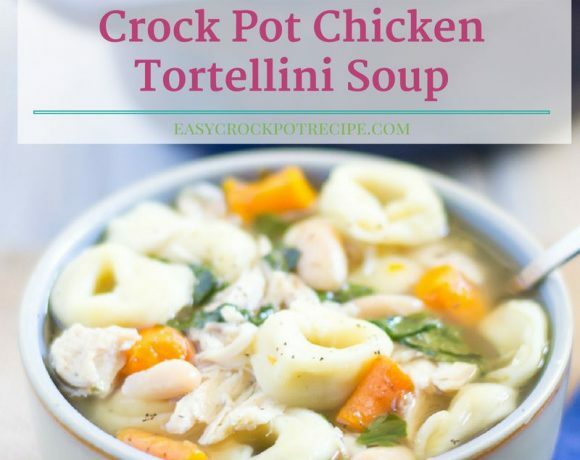 It's one of those 4 ingredient crock pot recipes that can make figuring out what to feed the family easy. Fix it and forget it until dinner time!